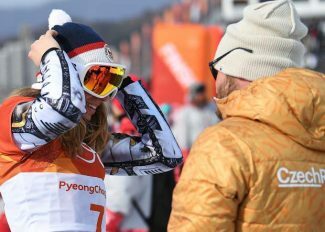 GARMISCH-PARTENKIRCHEN, Germany — Lindsey Vonn edged Sofia Goggia in a foretaste of the Pyeongchang Olympic downhill on Saturday, raising her career total to 80 World Cup victories. The American standout beat Goggia by two hundredths of a second as their ongoing rivalry in Alpine skiing’s fastest discipline continued. 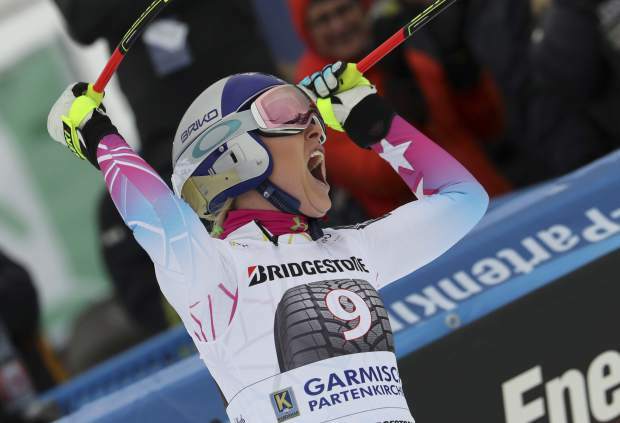 “It’s a big number,” Vonn said of her 80 wins, which is just six short of the all-time record set by Swedish great Ingemar Stenmark in the 1980s. “I remember when I got my 50th here, I never thought I would even get close to Annemarie Moser-Proell’s record (of 62 wins) and now I am getting close to Stenmark’s. It’s incredible,” she said. Vonn skied a solid run but didn’t seem to go to the limits as she trailed Italian rival Goggia by 0.08 at the last split time. However, Vonn overcame the deficit in the final section. It was Vonn’s second straight downhill win after Cortina, Italy, two weeks ago. She and Goggia are the only racers with more than one downhill victory this season. 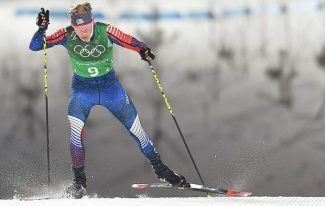 Cornelia Huetter of Austria was 0.13 behind in third, while Vonn’s American teammate Breezy Johnson finished fourth for her career best result. Earlier Saturday, Johnson and Vonn posted the fastest times in a mandatory training session two hours before the race, after training was canceled on the previous two days. Vonn’s joy was tempered, however, by a crash that ruled her teammate Jacqueline Wiles out of the Olympics with a knee injury. Shortly after completing her run and taking the lead in the race, Vonn saw on a large video screen in the finish area how Wiles lost balance after skiing off the course, fell and went into the safety netting. Wiles had to be transported off the hill by helicopter. 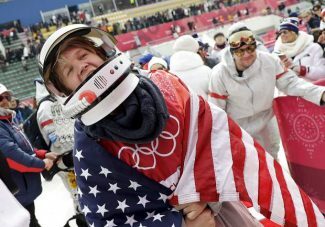 The 25-year-old Wiles was set to compete in her second Olympics. She had her second career podium by placing third in the race that Vonn won in Cortina two weeks ago. Earlier, Lauren Ross, who’s working her way back after a severe knee injury, also crashed hard but she stood up and eventually skied down. 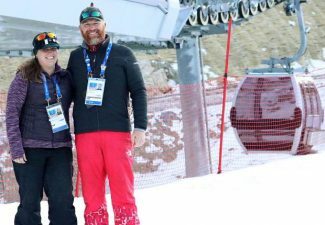 “It was really hard to actually be happy and excited and celebrate because Jackie is in the hospital,” said Vonn about Wiles, who has been financially supported by Vonn’s foundation. Another downhill on the Kandahar course is scheduled for Sunday, the last World Cup race before the Olympics, and Vonn was expecting another close duel with Goggia. The Italian edged Vonn in both speed races that were held as test events on the Olympic hill in South Korea last year. 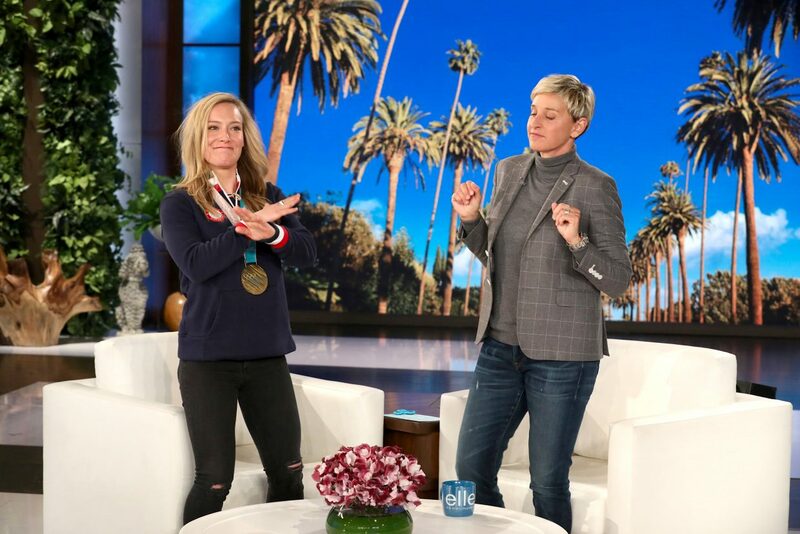 “She is always risking everything, she’s the person that I have to beat,” said the American, who is chasing another Olympic downhill medal to add to the gold she won in Vancouver 2010. Goggia was smiling and hugged Vonn afterward. The Italian’s daredevil style of racing has sometimes been seen as similar to Bode Miller’s approach, but Goggia laughs off any comparisons with the American great.